Jet The Dog is a small but perfectly formed graphic design agency set up by Helen Nelson (owner, designer and tea maker) with over 20 years experience in the design industry…. But how did Jet The Dog come about? Helen, at the age of 12 told her parents she wanted to design posters because she enjoyed playing with text and pictures… her parents told her to work hard at her O’Levels (it was a long time ago!) and she could then go on to college to study. At 18, Farnham Art College beckoned, and 4 years later Helen entered the graphic design industry with a BTEC Diploma in Design and a BA Hons Degree in Graphic Design and Business. Working with several design agencies, Helen gained experience working with large corporate clients in all aspect of graphic design. This gave her a whole wealth of skills enabling her, aged 29, to set up on her own under the name of Jet The Dog. 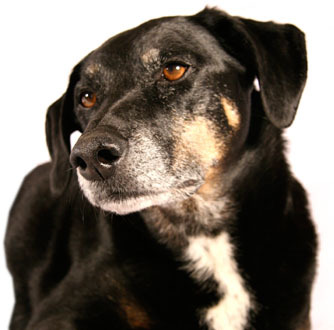 After 14 years, Jet The Dog is still going strong – working with small and medium sized companies, providing excellent graphic design to whoever needs it! The original Jet (as everyone always asks!) was a rescue dog from Wood Green Rescue Centre who gave his name and inspiration to the business. No longer with us, his name lives on – as does his love of Scottish beaches! BTW, Helen still enjoys playing with text and pictures on her big shiny Apple Mac computer!